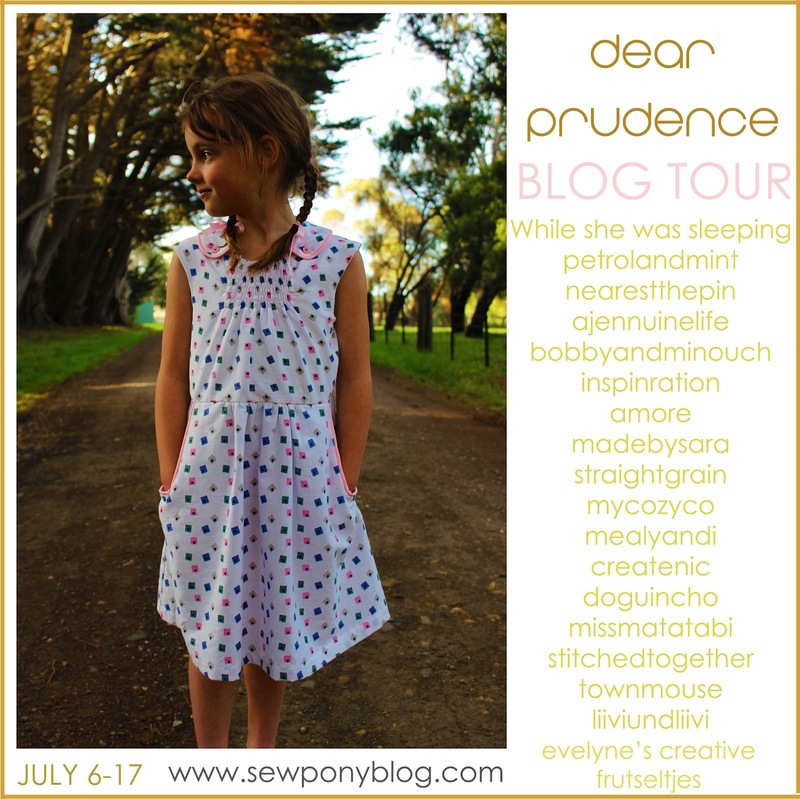 Today begins six days (over two weeks) of enjoying lovely Dear Prudence dresses made by eighteen talented sewing bloggers from around the world. Throughout the tour (which runs Monday, Tuesday and Friday this week and next), you can receive 15% off my latest pattern with code: PRUDENCE15 (apply at checkout). You can buy Dear Prudence here. Today I have three sneak peeks to share - you will have to head over to each blog to see the dresses in full. 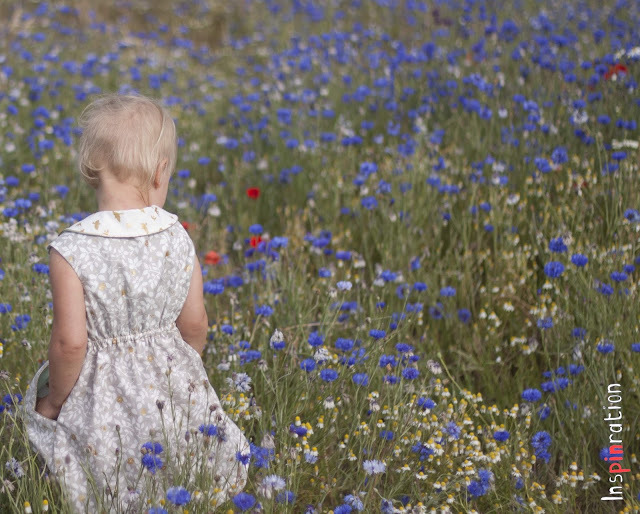 Firsty, I am pleased to have my lovely friend Jenya from While she was sleeping sharing her lovely blue Dear Prudence dress. 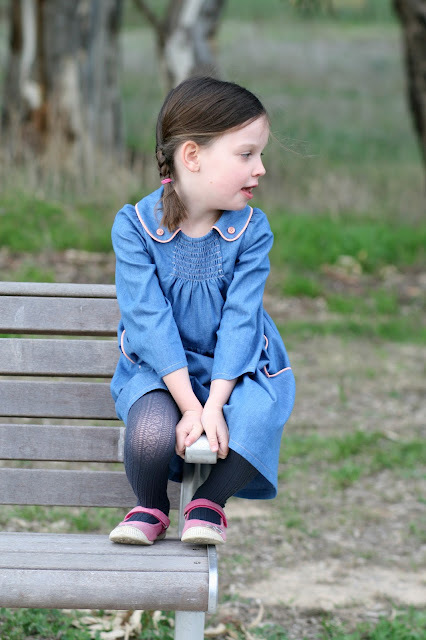 Jenya always makes fun and bright clothing for her sweet daughter, R. Jenya is a very kind Mumma and nearly always gets her daughter involved in the sewing process - resulting in clothes R loves. 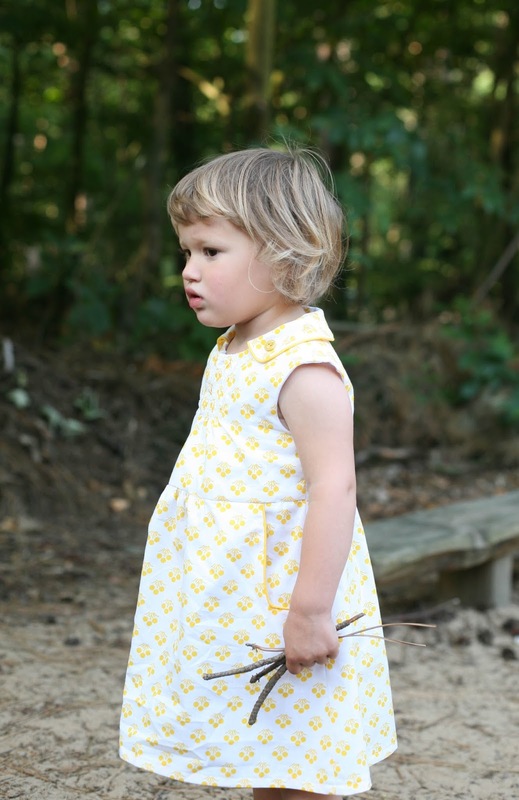 Head over to Jenya's blog to see more of this lovely dress. Thank you Jenya!! Miranda from Inpinration is a blogger I have only been following recently. She helped me test my pattern and I was so excited to see her lovely Dear Prudence dress on her sweet daughter - great fabric combination and the dress is just gorgeous. It looks like she has found an amazing backdrop for these photos too. Go to Inspinration to see more of her sweet Dear Prudence dress here. Thank you Miranda! I am still so happy that I was allowed to test this wondeful pattern, I love it!